After conquering the Nurburgring in 2017, the 911 GT2 RS has lapped the Bend Motorsport Park in 3.24.079. Wait, it lapped a circuit in over three minutes? That doesn’t sound too fast. Err, the Bend Motorsport Park is the second longest track after the Nurburgring – the track spans out at 7.7km and has 35 corners. Does it sound fast now? The 911 GT2 RS lapped the Green Hell in 6m 47.3s, which is almost 10s quicker than its hybrid- supercar cousin – the 918 Spyder. The 911 GT2 RS is powered by a 3.8-litre motor – sourced from the 911 Turbo S – and it puts out 691bhp and 750Nm of torque. Power is sent to the rear wheels via a seven-speed dual clutch transmission. It will do the standard 0-100kph sprint in 2.8s and has a top speed of 340kph. 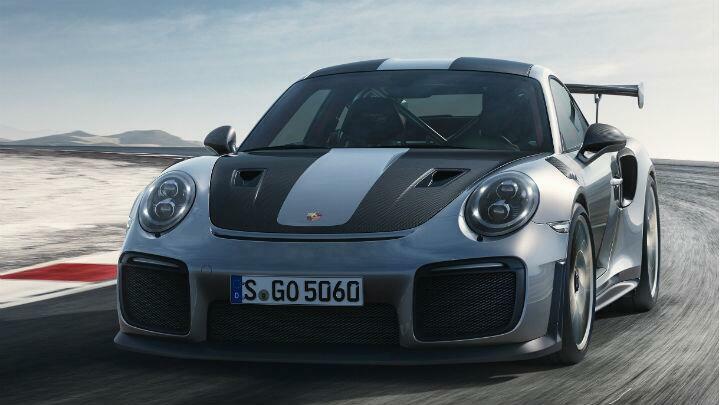 The Porsche 911 GT2 RS comes with rear-axle steering as standard. Along with this, it also gets Porsche’s Active Suspension Management (PASM), Porsche Stability Management (PSM) and Porsche Torque Vectoring Plus (PTV Plus). Porsche had launched the 911 GT2 RS in India at Rs 3.8 crore (ex-showroom) making it a worthy competitor to the Lamborghini Huracan Performante.